Fits 1997-Up GM 4L80E, 2 wheel drive. Can be used with HGM Compushift Controller for transplant applications.For use on LS type engines. Transmission shipped without speedometer driven gear or housing. The B&M GM 4L80E PreRunner/Trail automatic transmission is for use with 1997-Up Chevrolet LS based engines. 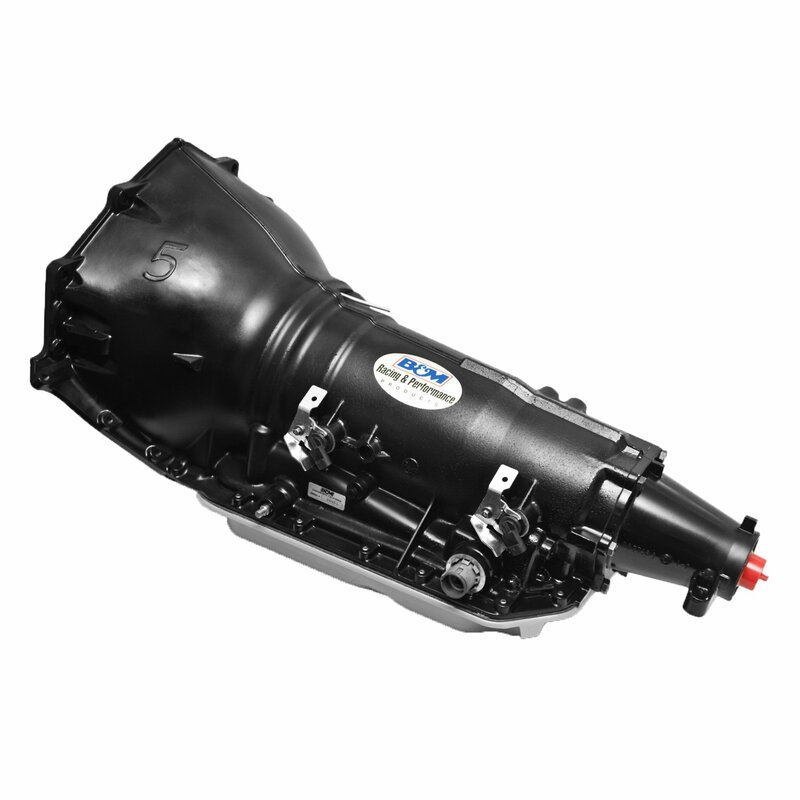 This transmission features a manual/forward valve body and includes a deep, cast aluminum pan. Internal components include a 34 element intermediate sprag, high energy intermediate band, new overdrive sprag assembly, new low roller assembly, all new high performance friction plates, rebuilt performance pump assembly, and a steel forward hub. Max 800 HP / 650 Ft/Lbs. Intended for off road/trail use.